Today I had the pleasure of joining a friend at Harper Valley Farms near Westport, Ind. 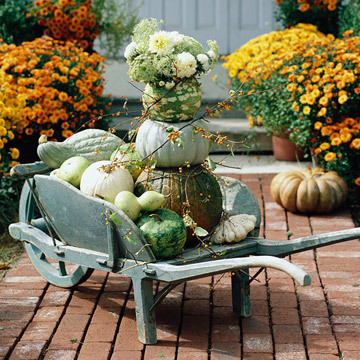 to pick our own pumpkins, gourds, squash, and mums. What fun! And cheaper than anywhere else! We quickly filled our cart, tugging it through the field. And though 8 months pregnant, my friend insisted on taking her fair turn in pulling the wagon (does she know I secretly was pushing the back of the cart across the bumpy field?). Don’t you love the pear-shaped gourd in the top right of the picture? Or maybe the swan-shaped one in the lower left? Harper Valley Farms had tons of these pale gray and peach short pumpkins. I kind of fell in love with them. Hoping to make them into the following picture. We’ll see if I can accomplish carving my house numbers! 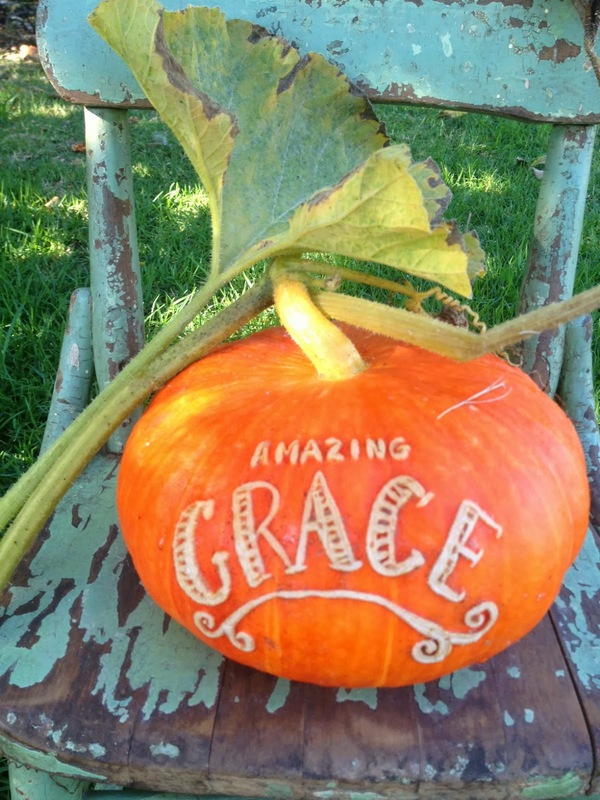 LOVE LOVE LOVE the chevron pumpkin. Have I mentioned that I love this? And have I mentioned that I tried this and gave up after it took me one hour to carve just one stripe? ?